One of the most common eye skin problems that women and men face is under the eye puffiness dark circles as well as wrinkles and fine lines. This review is to determine whether or not the Revitol eye cream can live up to its promise to safely and effectively deal with those stubborn under and around eye skin issues. While there is a number of different things that contribute to puffiness, such as allergies, thin under eye skin and weak capillaries, there are some effective solutions to this problem. The Revitol skin care company is a relatively new company that opened for business in 2002. The company makes a range of natural skin care and anti-aging products and is a member of the natural products association. This company’s eye cream like the rest of their products contains all natural ingredients. According to the company’s claims, the ingredients in Revitol eye cream are specifically chosen to help deal with the causes of those dark under eye circles, puffiness as well as wrinkles. Any skin care product is only going to be as effective as the ingredients the product contains, so let’s take a look at some of the ingredients this eye cream contains. 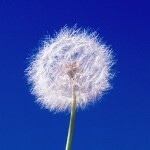 Bisabolol is a natural derivative of the Chamomile plant which soothes and helps to reduce under eye puffiness. Niacinamide is a water soluble form of the B vitamin complex which helps the skin retain some of its natural moisture. It also provides anti-inflammatory and anti-bacterial properties which can reduce under eye inflammation and puffiness. Fraxinus Excelsior Bark Extract comes from the bark of the common ash tree and actually helps to strengthen the capillaries. Oftentimes, both dark circles and under eye puffiness is the result of weakened capillaries, slowly leaking blood under the skin. By strengthening the capillaries, it is possible to reduce and even stop this leakage of blood, thus eliminating under eye puffiness and lightening dark circles. Capric Triglyderide is a derivative of coconut or oil palm that moisturizes the area under and around your eyes, reducing fine lines and wrinkles. It also transports vitamins into the skin promoting a healthy looking skin appearance. N-Hydidycicinimide is simply able to reduce some of the pigmentation under the eye, lightening the skin. Chrysin is an extract that comes from the passion flower, known to break down hemoglobin (from those leaky capillaries) and offer anti-inflammatory properties, thus reducing puffy eyes in these two ways. Now that you know some of the ingredients the Revitol eye cream contains and what each of these ingredients are supposed to do, the next question is: Can this eye cream work effectively? Let’s check on some users reviews. 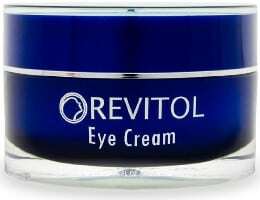 What Do The Revitol Eye Cream Customer Reviews Say? This eye cream does work to reduce puffiness and dark rings for many people. Some people experienced noticeable results within days after starting to use this cream as for others it took a bit longer. However, few reported that while it helped them with puffiness, it didn’t do such a great job for dark circles. Still, they admit that they should probably go on using it since the cream might need more time to work. I would also add that for a more permanent skin issue, it is obvious that more time would be needed. None of the people who tried it experienced any negative side effects. They found this cream to be working gently on the under eye area. Active ingredients are all natural. Not any known negative side effects. Free jars with purchase of selected packages. Not many available customer reviews. Works better for some people than others. Not every product works for everyone the same, as it is also confirmed by this eye cream’s reviews. However, the Revitol eye cream seems to have some positive effects for puffiness and dark circles. It is also worthwhile mentioning that the Revitol skincare company has some good offers available like free jars if you choose to buy select packages.